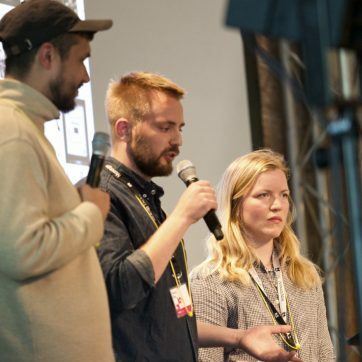 The format Talent Talks is a newbie to this year’s TYPO. Curated by designer and professor Kali Nikitas, eight refreshing positions from all over the globe share their truly creative work. Apart from sparkling self-initiated projects and inspiring design artefacts, they are showcasing most notably how cool it is to work with cool people. 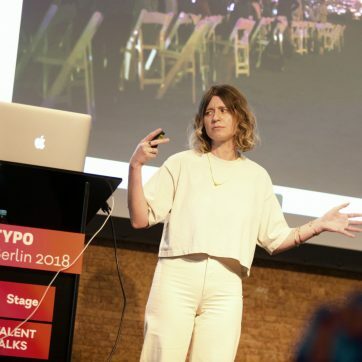 Trigger lautete das Motto der TYPO Berlin 2018 und zahlreiche Redner schilderten, was ihr Denken als Designer geprägt hat. Dabei nannten sie immer wieder fünf Prinzipien, die auch andere Gestalter inspirieren können und zweifellos nützlich sind, wenn man sich von Alltagszwängen und dem ewigen „Du solltest aber…“ befreien möchte. Read english version here. 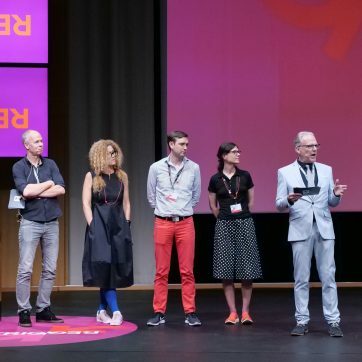 As TYPO Berlin 2018 progressed many inspiring speakers talked about what triggered them to establish their design mindsets. 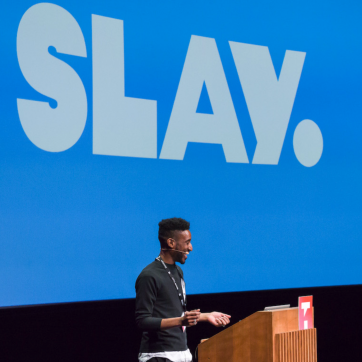 Five key aspects kept popping up during the conference, noteworthy to inspire other designers and useful to get rid of some daily “should haves” and constraints. Deutsche Version hier lesen. 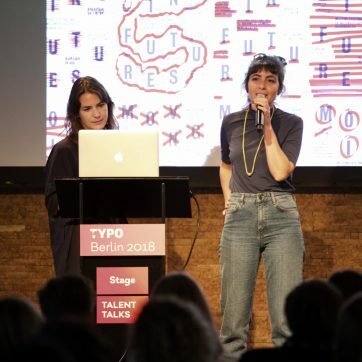 Trigger (Auslöser) lautete unser Motto für die TYPO 2018, und Auslöser suchten wir. Doch was genau ist ein Trigger? Ein Augenblick, ein Ereignis, das uns vorwärts bringt? Ein Gefühl, das uns zum Handeln treibt? Ein Impuls, etwas zu beginnen? Oder gerade das, was wir zum Überleben brauchen? 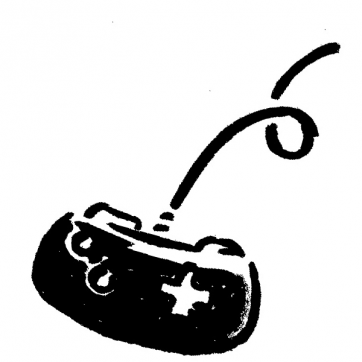 Welche Rolle spielt der Trigger für unsere Kreativität, für Bewegung und Wandel? Was drängte die Kreativen auf unseren Bühnen, ihr Ding zu machen? Hier Einsichten einiger unserer Redner. // Den Artikel auf Englisch lesen. 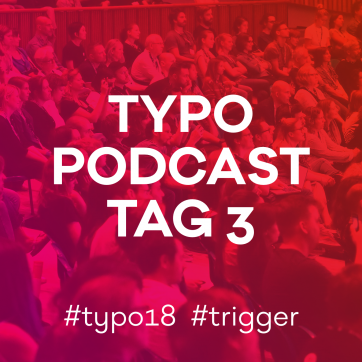 Thinking along our motto at TYPO 2018 we were looking for triggers. But what exactly is a trigger? It could be a moment or event that takes us forward, a feeling that activates us to do things, an impulse to start or simply just the fact that we need to survive. 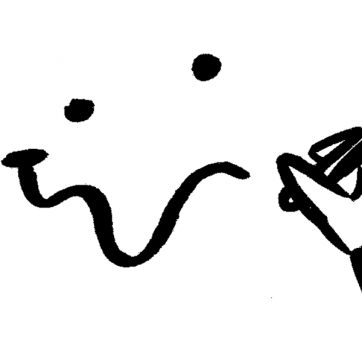 What role does the trigger play for our creativity, for movement and change? And what moves all the creatives on the stages forward to realize their projects? We collected insights from a selection of our speakers. // Read article in German. 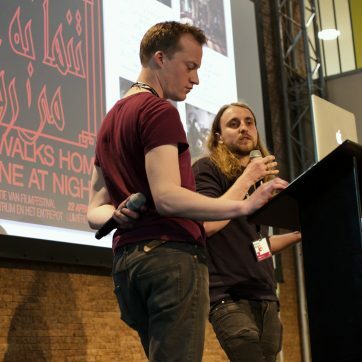 The format Talent Talks was a successful newbie to this year’s TYPO. Curated by designer and professor Kali Nikitas, eight refreshing positions from all over the globe shared their truly creative work. Apart from sparkling self-initiated projects and inspiring design artefacts, they were showcasing most notably how cool it is to work with cool people. We spoke to the studios about their dreams, money and do’s and don’ts when building up a career. 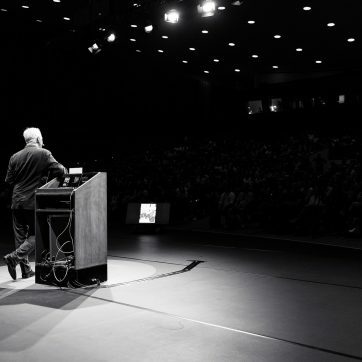 Charles Landry’s opening keynote on Thursday morning was like an ambush: but in a good way. His breathless, charismatic presentation on creative city making, was the antidote of a generalist to a world of design specialists. // Read article in German. Charles Landrys Eröffnungsvortrag am Donnerstag war – im besten Sinn des Wortes – eine echte Attacke: geballte Power und Charisma, dynamische Worte zur kreativen Stadt. Der Kontrapunkt des Generalisten in einer Welt von Designspezialisten. // Read article in English. “When people are speaking and presenting, they are showing their humanity and opening themselves to critique.” – Kali Nikitas. During each TYPO Berlin, a small group of people plays a vital yet rather less-known role in the conference – the facilitators who help to keep the stages running smoothly and support the speakers before and after their talks. We had a closer look at this years facilitator team and how they prepare for the conference. In einer ausführlichen XL-Episode blicken Jenny, Felix und Jan Vincent gemeinsam mit Gast Christian – der als Lektor und Texter das Editorial-Team der TYPO unterstützt – auf den dritten und letzten Konferenztag.